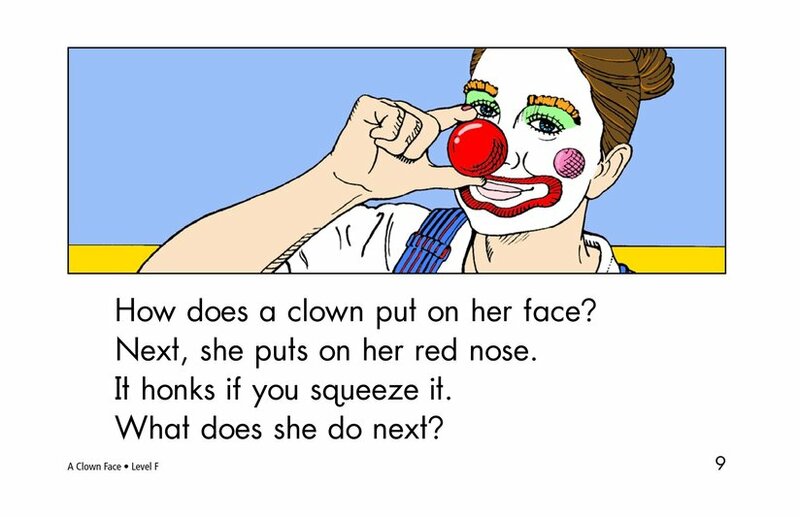 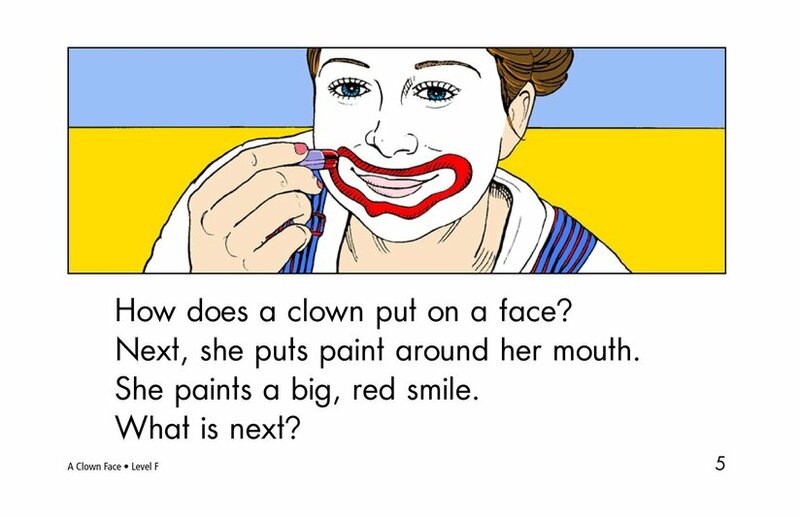 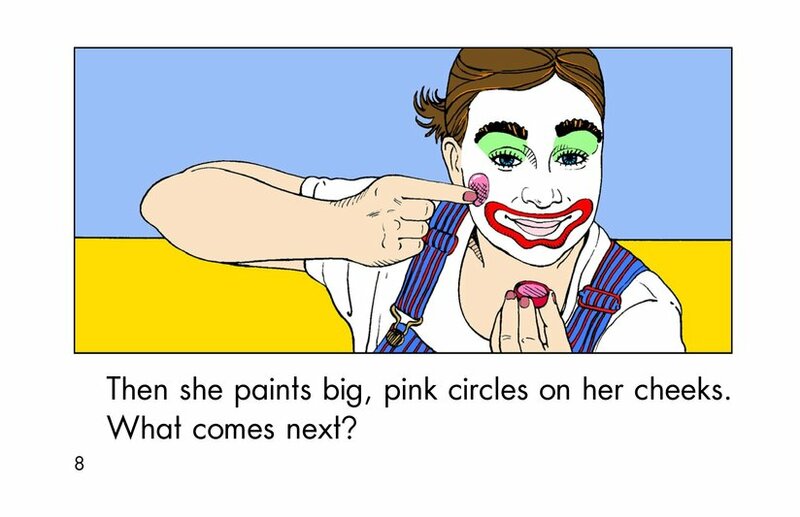 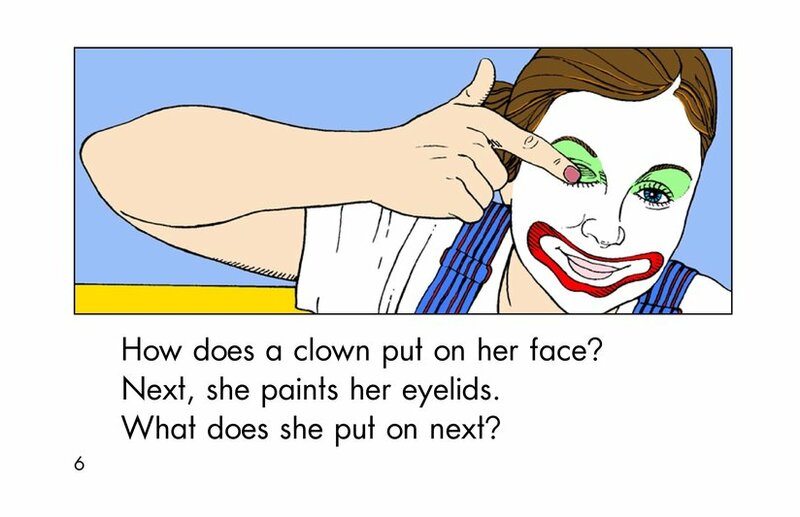 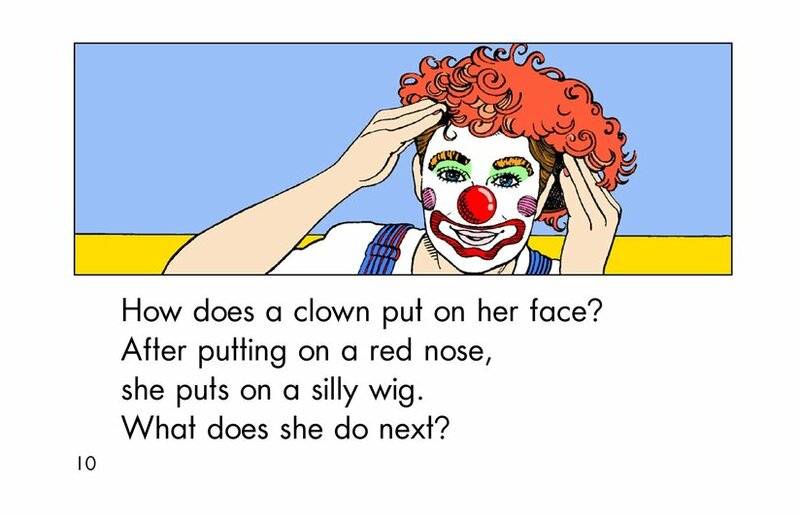 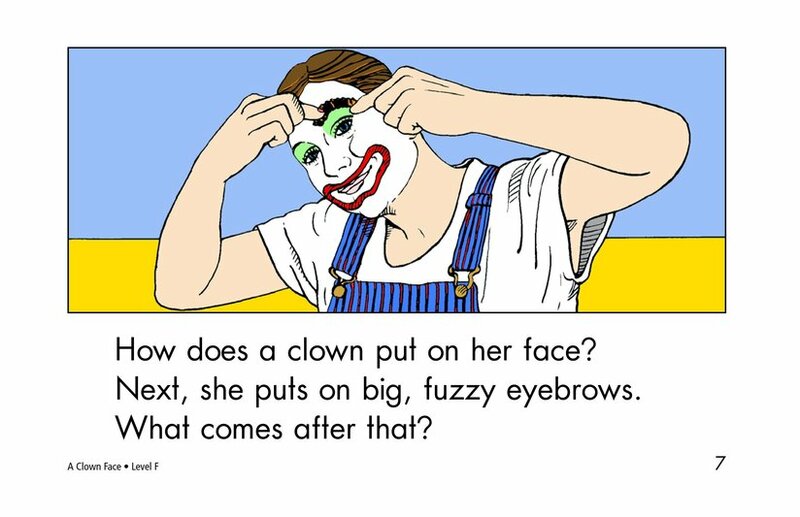 A Clown Face outlines the steps involved in dressing up to look like a clown. 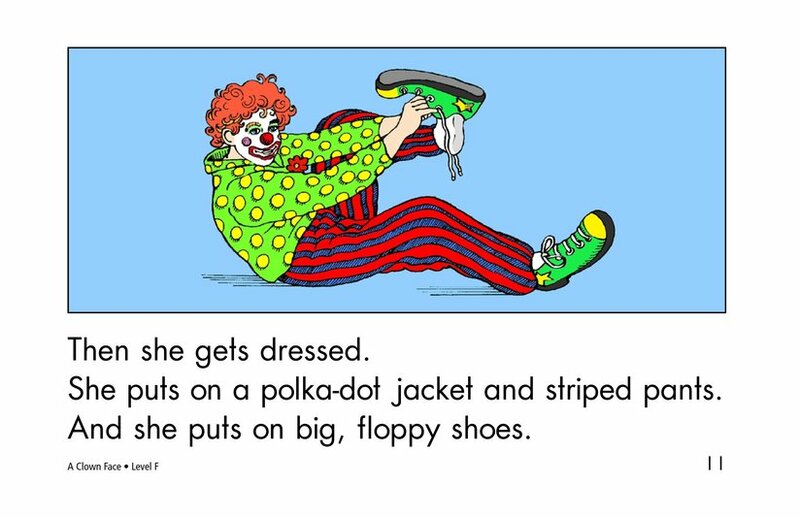 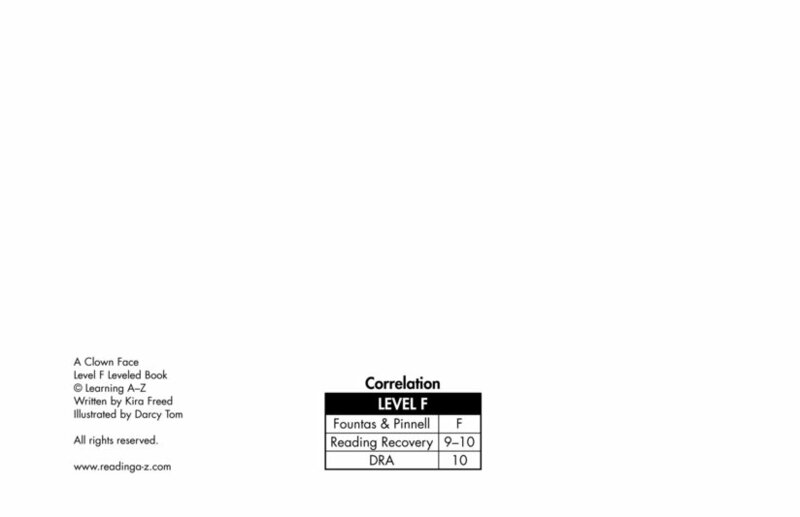 Early readers will enjoy the detailed illustrations that correspond with the repetitive text pattern. 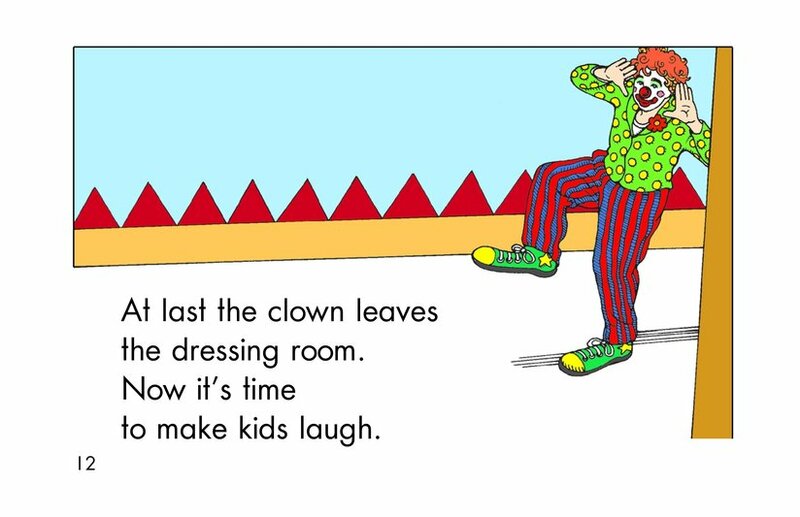 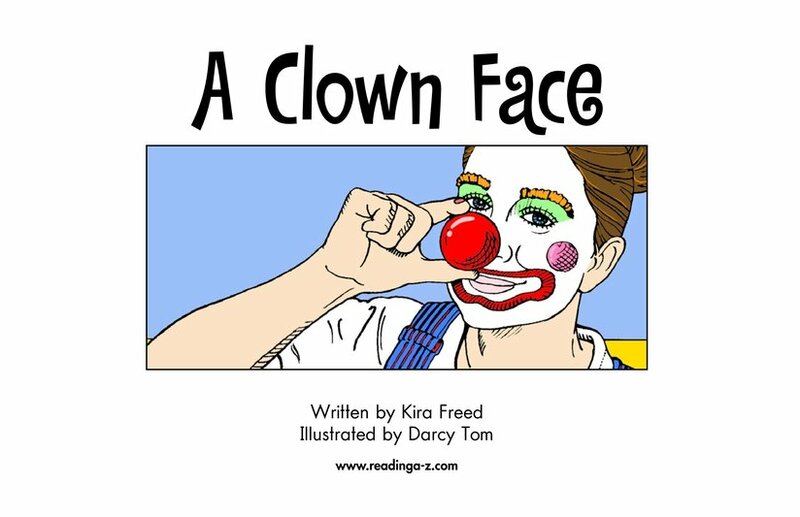 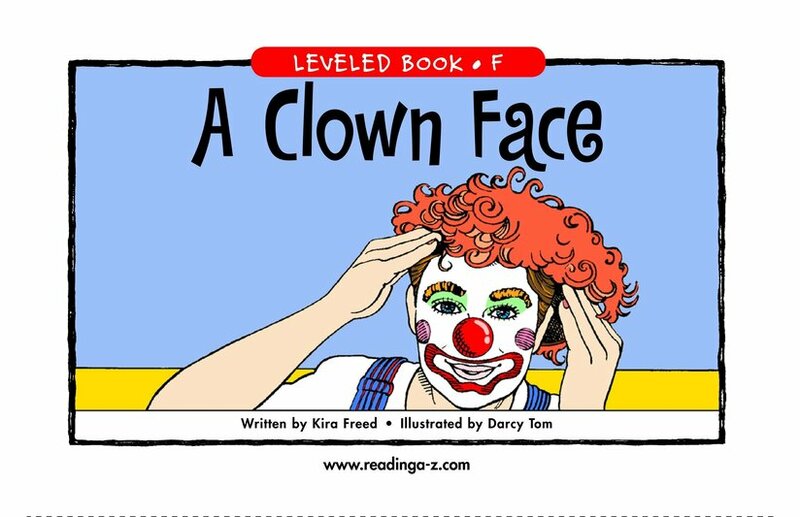 They may even be inspired to use the book as a guide to dress up as a clown.